The recycling cooperative plans to remodel this former tool store as its redemption center. 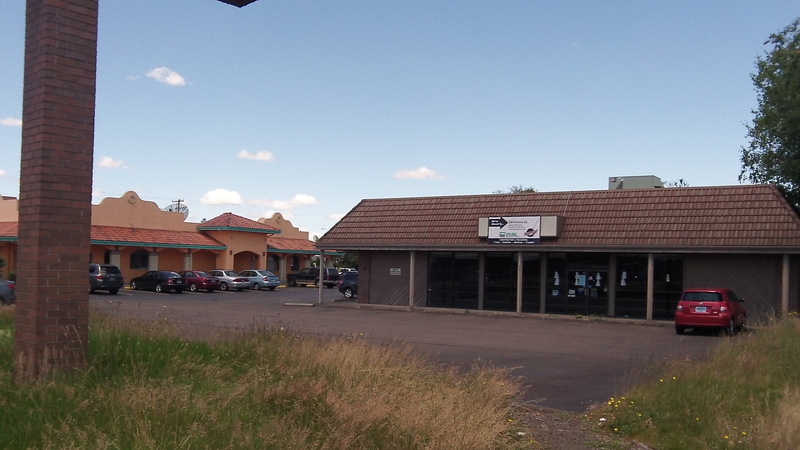 The property is the commercial building at 2141 Santiam Hwy. S.E., the former home of a tool store, now vacant and plastered with notices in the windows. One of them makes note of the application to the Oregon Liquor Control Commission to allow a redemption center there. The redemption center will be open seven days a week, 9 to 6 in the winter and 9 to 7 in the summer. It will be staffed during business hours. It will accept up to 350 empties per person per day via self-service. If you bring in fewer than 50 during business hours, someone will count them by hand. There will also be a “bag drop service” allowing people to just leave their empties and be credited on their BottleDrop account for the amount of deposits they get back. As you may recall, the cooperative hoped to remodel a vacant former thrift store on Santiam Road, but the city council scotched that deal in February 2014 when it declined to make a requested change in the zoning code. At the time Kate Porsche at City Hall pledged to help the cooperative find a different Albany site. That’s what happened, Bertges told me. No more of this, if everything goes according to plan. 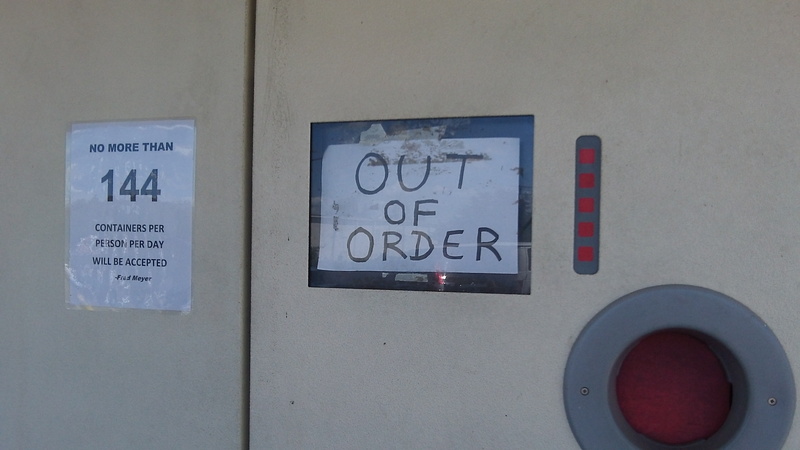 I’ve noticed where I buy my groceries that often 2 out of 3 machines are out of order. I think it’s a conspiracy by the stores to make us support a “recycle center”. Not having a car, having to go somewhere else besides the store to get my deposit back entails a trip out of my way. Recycling the containers at the store doesn’t! I think the stores should be required to have no more than 1 machine out of order at any time or else be required to quit selling recyclable containers until the machine is fixed. Having all their machines in order would pretty much eliminate much of the hassle we experience. Uh, Bill, it’s hardly a “conspiracy” when grocery stores openly pressed the legislature for this for more years than I can remember. So I take it you support government regulation? Bob, all of us “small government” folks aren’t the simpletons you make us out to be…..and you’re not looking too smart with posts like this. The grocery stores and their associations are rebelling against just one of the unfunded mandates that government at all levels are so fond of, along with you it would seem. You’ve turned into “Mr. Government” lately. You like the way things are going these days?